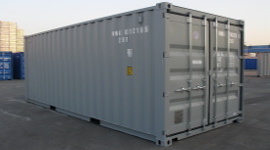 If you are a moving and storage company looking to cut costs, or you are just looking for an on-site storage solution, then a used shipping container may be exactly what you need. Buying a used unit can cut hundreds and even thousands of dollars off your investment, and most people won't even be able to tell the difference between a new and used unit anyway. It simply doesn't make sense to spend thousands of dollars on a new unit when you can purchase a used shipping container from a trusted manufacturer or reseller for a fraction of the price. 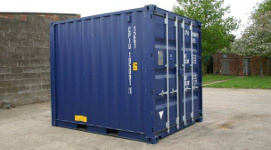 UsedShippingContainer.org is the best resource to help you get the best unit at the best price. 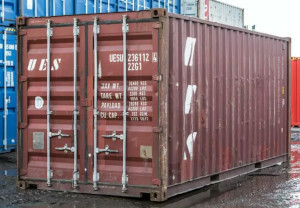 Condition- a used shipping container that will need to be refurbished can go for as low as $500, while a container that is "like new" will usually go for around 75-80% of the original price. Size- 40 and 48 ft extra wide units are the most expensive and are typically 20-30% more expensive than a standard 8x20 ft unit. Reseller- purchasing it from one of the major manufacturers is the most expensive option, but it will also give you peace of mind, and they usually have warranties available as well. Options- if you are buying a used container that has been fitted with optional features such as air vents, refrigeration, upgraded door locking systems, or you need any features installed, then you can expect to pay a few hundred dollars more. Delivery- companies will typically deliver about 200 miles away, but for large orders they may travel further distances. Delivery fees are sometimes priced into the purchase so it's always a good idea to make sure before you commit to a purchase. 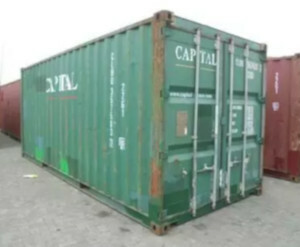 Quantity- if you are purchasing multiple used shipping containers, suppliers will offer bulk discounts so the price you pay per unit will be much lower. The most popular size, this is perfect for both residential and commercial storage. Many moving and storage companies use these for their warehouses as they are easily maneuvered and are the ideal size for most customers needing temporary storage space. Primarily used at schools for sports teams, by manufacturers to ship things overseas or across the country, and by construction companies. This is typically the largest size that a supplier will offer. Make sure it is watertight. Find out if it has a warranty, or if warranties are available. Find out if delivery fees are included.